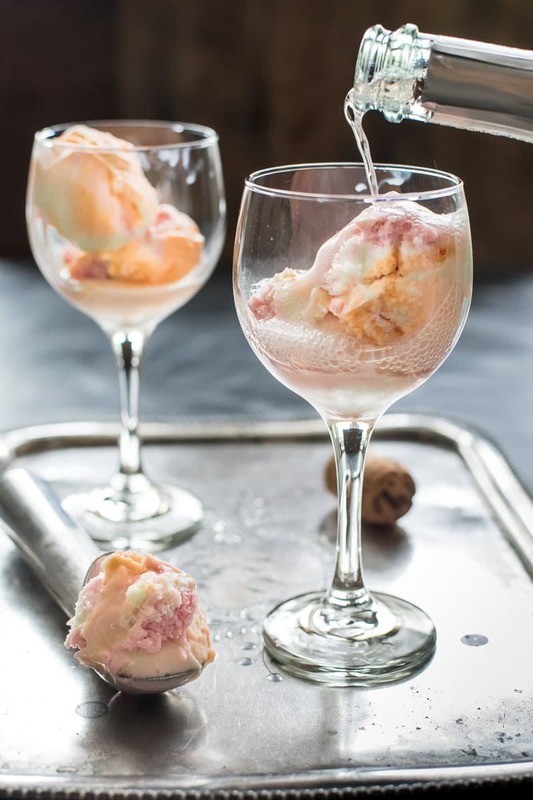 Ice cream and bubbly. That’s pretty much all that’s on my wish list for this Mother’s Day. Well, maybe a nap, too, but I’m trying to be realistic here. I feel almost embarrassed posting this non-recipe on the site, but when you have something this fun (and delicious) it just has to be shared. Besides, sometimes we need a celebratory treat that takes 5 minutes to make and even less time to clean up. 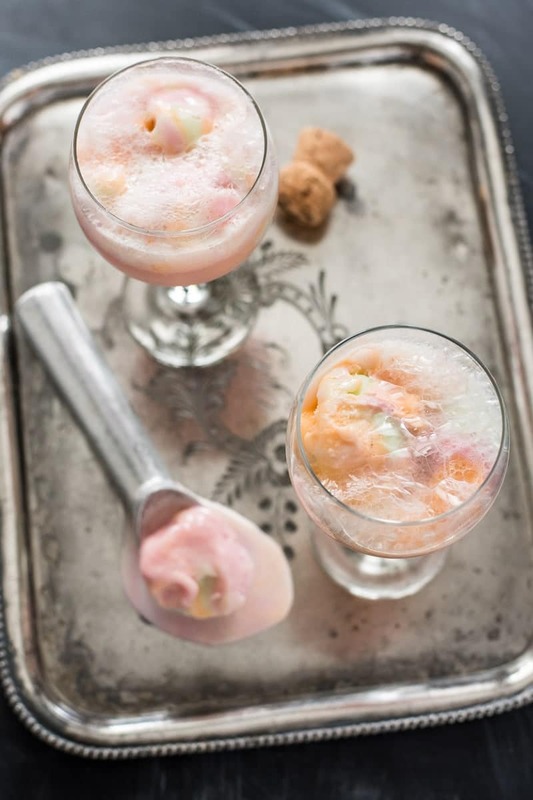 The premise here is simple: rainbow sherbet + pink champagne = the best floats ever. Creamy and frothy, bubbly and sweet, you can eat this float with a spoon or wait until the sherbet has melted a bit and drink up. 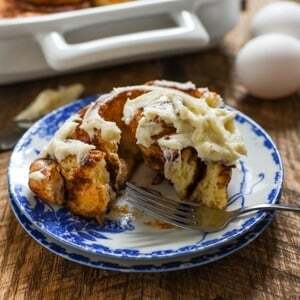 There are so many possibilities with this treat, you could really suit any craving. I’m thinking a strawberry sorbet would be lovely (and delightfully pink) or a lemon sorbet if you’re looking for a little pucker. You could even use orange sherbet and call this a mimosa. Breakfast in bed, anyone? These are obviously a great choice for Mother’s Day, but they’d also be lovely for a bridal shower, bachelorette party, or Valentine’s Day. 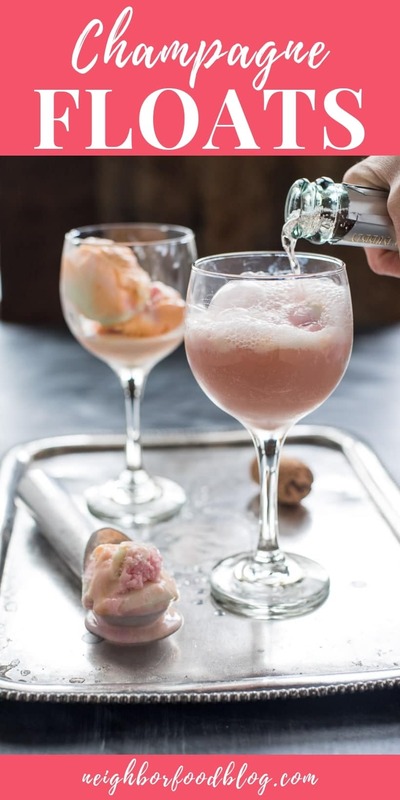 Whatever the occasion, these champagne floats will make you feel downright fancy…even if you’re in your sweatpants on the couch. 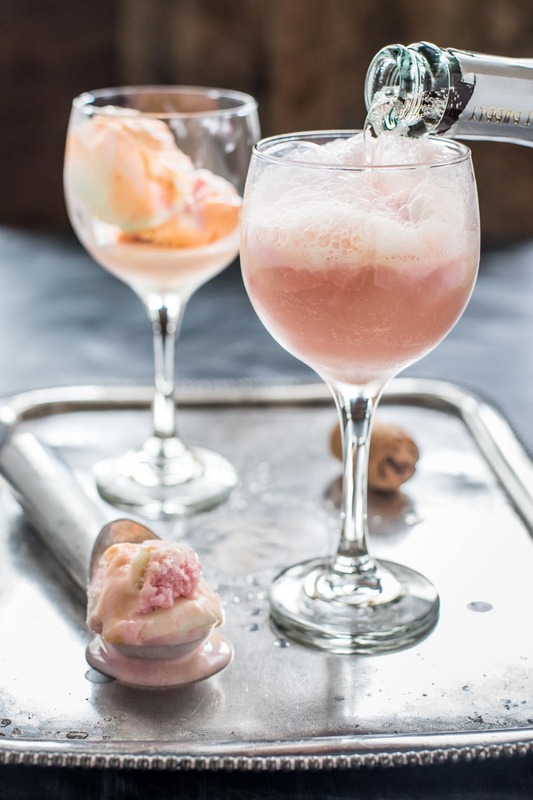 These two ingredient Sherbet Champagne Floats couldn't be easier to make, and they're the perfect festive drink to celebrate any occasion! 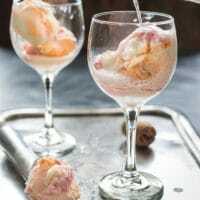 Fill each wine glass with a few scoops of sherbet. Pour the champagne over top, until almost covered. Allow to set for a few minutes to let the ice cream melt a bit for serving. Thanks so much! It would definitely fit right in at any party! I am all about this! What a great idea! Thanks Kristen. 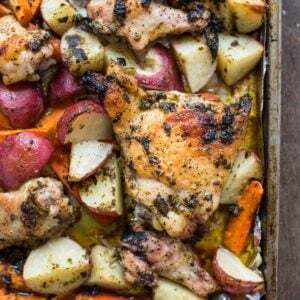 I’m so excited to try some different variations of this!